Next week, the United States Mint has only one product scheduled for release and that is the 2014 American Eagle One Ounce Gold Uncirculated Coin. 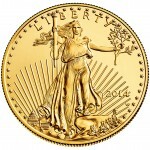 The Uncirculated Gold Eagle is set to debut on May 22, 2014. As is usual with U.S. Mint releases, the coin will go on sale beginning at Noon (Eastern) on the day of release. 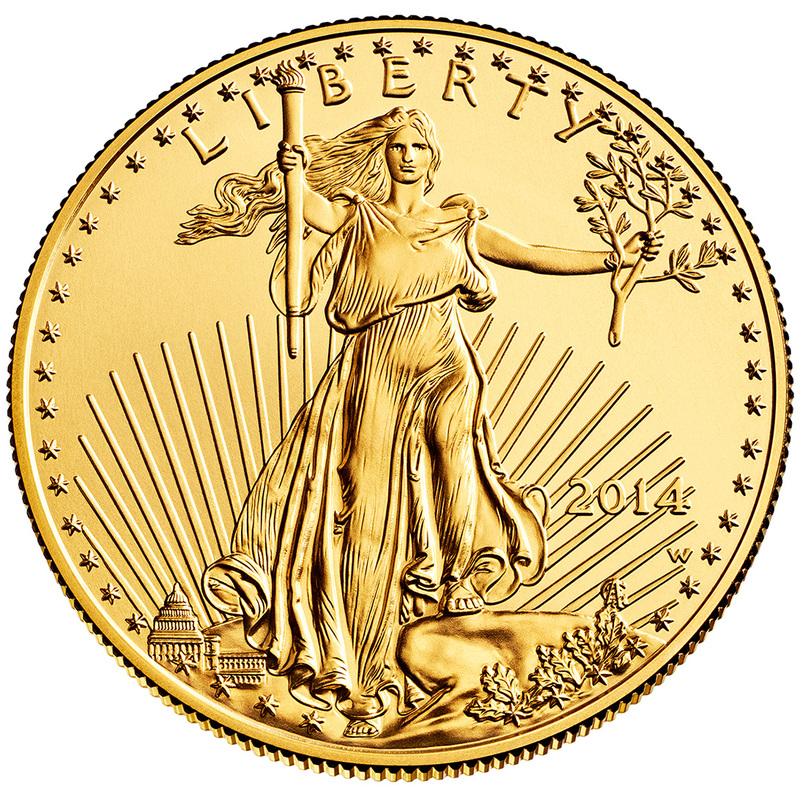 Shown on the obverse of all American Eagle Gold Coins is a depiction of Liberty by renowned sculptor Augustus Saint Gaudens. This image first appeared on the 1907-1933 double-eagle gold piece and is a favorite of many collectors. The reverse of the coin showcases sculptor Miley Busiek's family of eagles design. It offers a male eagle flying above a nest which contains a female eagle and her eaglets. 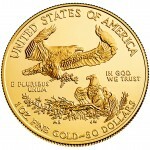 Each Uncirculated Gold Eagle is struck from one ounce of 22-karat gold. The coins are produced from specially burnished blanks and contains a "W" mint mark of the United States Mint at West Point. Debut pricing of the Gold Eagle will likely be determined the day before release. All numismatic gold coins from the U.S. Mint have their pricing reviewed weekly for possible adjustment based on recent fluctuations in the gold market. 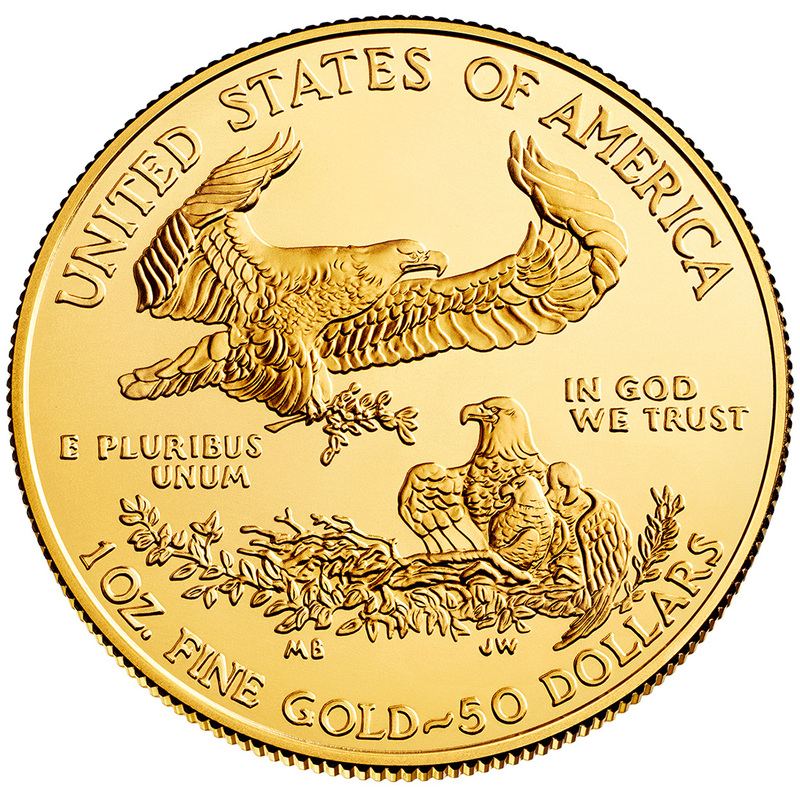 When issued, the 2014 American Eagle One Ounce Gold Uncirculated Coin may be purchased directly from the United States Mint via the website of www.usmint.gov or by calling 1-800-USA-MINT (872-6468). Hearing- and speech-impaired customers with TTY equipment may order at 1-888-321-MINT.